Just yesterday I was cutting a dead leader out of a large sugar maple tree hanging over someone’s house & out came 8 flying squirrels, one after the other. They scurried up the leader & then flew literally 30 plus yards to a neighboring hollowed out maple tree across the road. As each approached their “landing” spot, they fluttered upwards at the last second to make for a “soft landing.” I gotta say, this was one of the most impressive wildlife sightings I’ve seen. Also, I’m jealous of their tree climbing acrobatics. 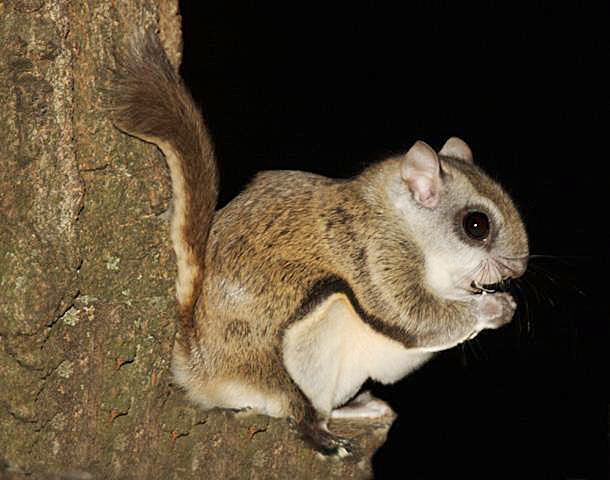 Tags: Catskill Forest Association, Catskill Mountains, flying squirrels Categories: What's New?